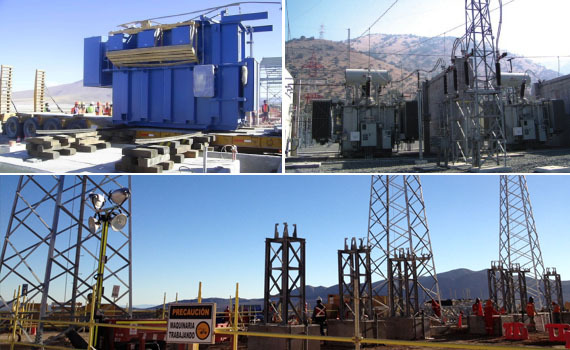 ESINEL offers engineering services to the Electric Energy Transmission projects (Transmission Lines and Substations) in all stages and specialties. Special attention is given to projects of electric generation based in Non Conventional Renewable Energy (NCRE), (Mini Hydroelectric, Aeolian, Solar), developing the Systemic Impact Studies, Static and Dynamic, that allows to quantify its effect over the Interconnected System, according to the Security Technical and Service Quality Standard (NTS&CS) and the procedures from the CDEC-SIC, SING. Electrical Engineering for Transmission Lines and Substations. 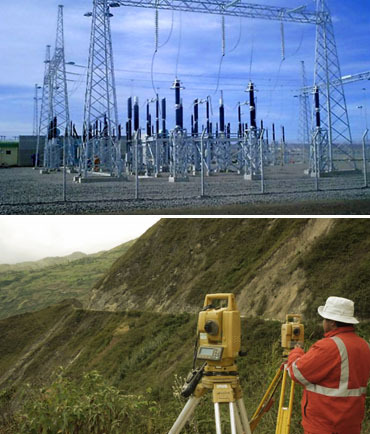 Civil Engineering for Transmission Lines and Substations. Systemic Impact, Static and Dynamic Studies. National and Foreign Equipments Inspection in Factory. Conceptual Engineering of an Investment Project. Pre-feasibility and feasibility Studies. Investment Budgets. Technical Inspection of Equipments in National and Foreign Factories. Technical Inspection of Works (ITO). Purchasing management of equipment and materials in Foreign Countries. Special designs for high mountains in Mining, where a great risk exists due to the effects of the wind, ice, mountain topography and geographical height which may affect the electric insulation of the equipment. Designs in environments of High Pollution (Industrial Plants, Desert, Coast, etc). Modification of existing facilities to assure the security, reliability and capacity of energy transmission. Dimensioning of equipments and materials. Technical specifications for the purchasing of equipments. Design of Control Methods for Electric and Industrial Systems. Design of Communication systems SCADA type. 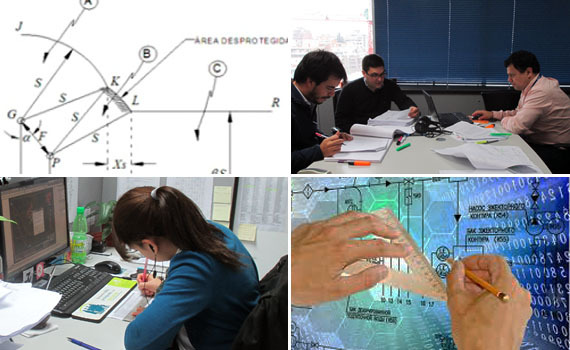 Designs, Studies, Calculation and Coordination of Protections for Electric Transmission, Distribution, Industrial and Mining Systems. Civil, Structural, Foundations and Ground Mechanic Designs. ETAP. Power and industrial analysis systems. PLS-CADD. Transmission Lines design with a Module of Enhanced Location of Structures. DIG SILENT from Power Factory. Transmission, distribution and generation systems analysis. RISA 3D. 3D Structural Analysis. MATCH CAD. Design and Calculation Memories. ATP. Transitory analysis of Power Systems. CIVIL 3D. Earthmowing and Roads analysis. Studies of Voltage Regulation and Load Flows. Calculations of Harmonic Filters, Reactive Compensation, etc. Economic Technical Studies for the Selection of Conductors and Guard Cables in a Transmission Line. Systemic, Static and Dynamic Studies to quantify the impact it will have the connection of new generation projects to the Interconnected System according to the Technical Standards of Security and Service Quality (TSS and SQ) and the Procedures from the CDEC-SIC, SING. ESINEL Ingenieros offers the following Projects Management Services. Enterprise Prequalification Process for the Supply of Materials and Equipment. .
Enterprise Prequalification Process for Construction Works on Site. Preparation of Documents for Tenders. Technical and Administrative Basis for a Bid call for work in Turn Key Mode, EPC, EPCM, BOT, BOO. Technical Specifications for the Purchasing of Equipment and Material. Techno-Economical Evaluation of offers for the Supplying of Equipment and Material. Techno-Economical Evaluation for Construction Offers. Management of Purchasing of National and Imported Materials. Counseling for the preparation of the Environmental Impact Statement (DIA) or the Environmental Impact Study (EIA).